Meet Jordan Hoppman! Jordan grew up in Galena, Il and currently lives in East Dubuque with his dog named Buddy. He enjoys living and being in Dubuque, as he describes it as a fun place to be. Jordan was a previous employee of Bird Chevrolet that was acquired by our McGrath Family of Dealerships in June. Bird Chevrolet was a family owned business for over 90 years and we are pleased to continue that legacy. Our dealership understands the importance of community and relationships and we want to ensure customers will continue to receive the best customer service possible. We are truly honored to be given the opportunity to be your Dubuque Chevrolet Dealership. We were so happy to have Jordan on board during that transition and provides excellent work as a Used Car Service Tech! Since June, we have been able to provide a larger selection of new and used vehicles, while expanding our parking lot to provide a more options and a better shopping experience. We have received amazing feedback from customers about their experience while visiting our Chevrolet Dealership in Dubuque and we are happy to continue to exceed your expectations in what a car buying experience should be. We truly car about taking care of you and making sure that we see your face again! We know that when you visit service, Jordan will ensure you that you get the best service possible. Jordan has spent 12 years in the automotive business and has 2 months in at McGrath Family of Dealerships in Dubuque. 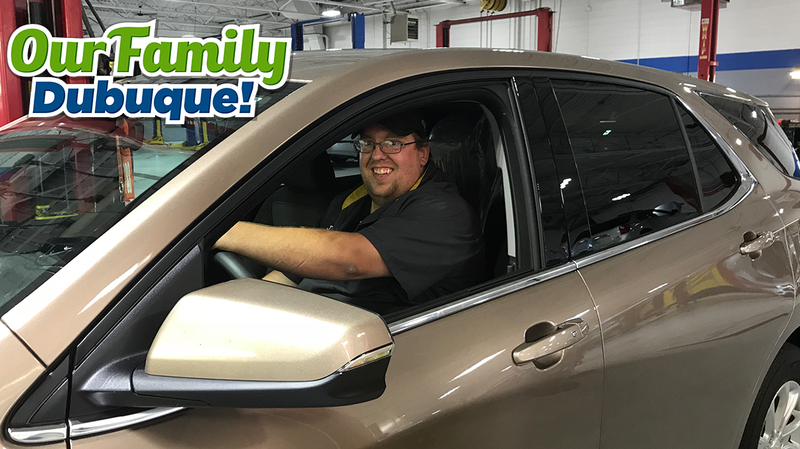 His family is who helped him decide to become a part of the automotive industry! Although, he has a Silverado in his driveway, he would love to have a ZL1 Camaro sitting in his garage someday!